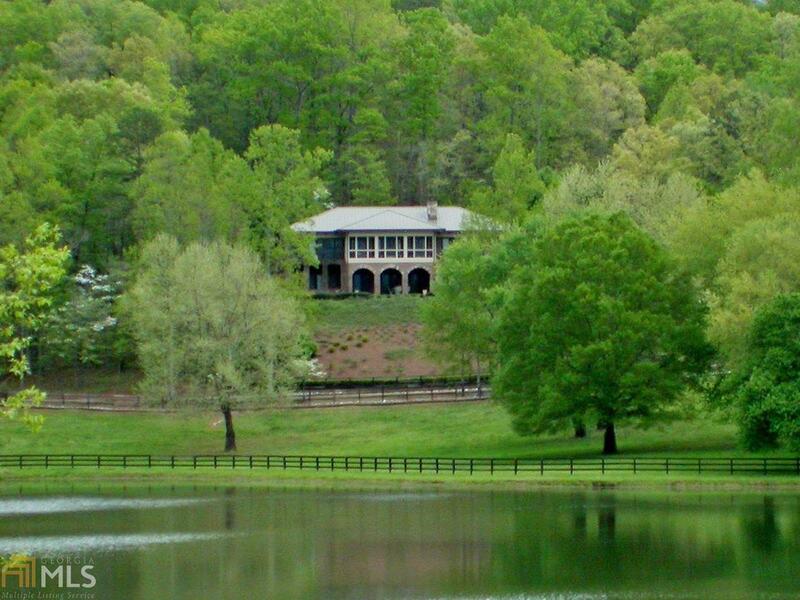 Owls Nest is a 257 acre horse farm/retreat center located in the prestigious Sautee Valley with a 4BD, 6Ba Tuscan villa with 2 kitchens, 2 fireplaces, 3 car garage, and pool overlooking a gorgeous 20 acre private lake framed by distant mountain views. Additionally, the property includes a full handicapped accessible 7000 Sq. ft. conference center complete with 8 bedrooms for lodging, mens and womens restrooms with private showers, a commercial kitchen, large gathering room with fireplace, office space, and screened porch with patio, a fully restored log cabin, a 2 BD, 1Ba lake house and a 2BD, 2Ba farm house. The property features 10 miles of fencing, meandering trails, green pastures and a 5400 Sq. Ft. 17-stall stable.